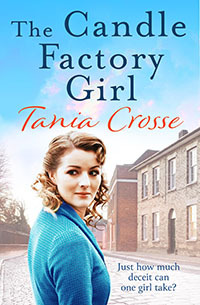 Work at Price’s Candle Factory in 1930s London is tedious for intelligent, seventeen-year- old Hillie Hardwick, but she knows she is lucky to have a job at all. Life in her family’s cramped, terraced house in Battersea’s Banbury Street is no better as she stands up to her bullying father in order to protect her mother and five younger siblings, but what is the truth behind his harsh and exacting ways? Her only solace is her loving friendship with the chaotic Parker family and her best friend, Gert Parker. When matters escalate violently, smitten Jack-the- Lad Jimmy Baxter seems her only salvation. But could this be the biggest mistake of her life, and should she be looking for protection nearer home? A story that crackles with unease where courage and friendship are the only hope. A London back street saga set among the deprivations of the 1930s and the fight to survive.